Enhance your trip to San Francisco Chinatown with one of our educational programs. These programs provide an in-depth exploration of the galleries at the Chinese Historical Society of America, while utilizing Chinatown as an educational learning space. Listed below are the types of programming that we offer. Docent Tour: Docents guide visitors through the museum’s main exhibition Chinese American: Exclusion/Inclusion. They provide visitors with an in-depth explanation of the historical events that led to the Chinese Exclusion Act and the various avenues that Chinese immigrants and Chinese Americans used to navigate their circumstances. Docents will use the exhibition’s artifacts, documents, and illustrations to engage visitors senses and imagination. The tours lasts 45 minutes to 1 hour. Tours are available for groups 10 or more. Individual tours are capped at 30 people. Bigger groups will be divided. This process ensures a safe and engaging tour for everyone. If you are an individual or part of a small party, we offer docent tours to the general public the 1st and 3rd Saturdays of the month. You can reserve a spot here. Trailblazers Tour: This tour explores the history of Chinese immigrant and Chinese American women in San Francisco’s Chinatown. For much of Chinatown’s history, men predominated the landscape which rendered women invisible. This tour will showcase the women who worked, lived, and prospered in the neighborhood, acknowledging their importance to Chinese American, immigrant, and women’s history writ-large. The tour will feature the Chinatown YWCA (CHSA building), Gum Moon Women’s Residence Center, Chinese Hospital, the Chinatown Telephone Exchange building, and other important landmarks in women’s history. People will visit up to 10 different sites in Chinatown that address issues of community and family violence, resilience, and activism (from public education to public health and exercise). The tour lasts 90 minutes to 2 hours. 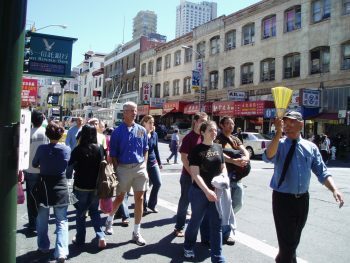 Chinatown Tour: Through storytelling and engagement of the senses, this walking tour explores the oldest Chinatown in the United States. Participants will learn about the historic and cultural development of the community, the reasons behind Chinatown’s distinctive architecture, and the social significance of the neighborhood. 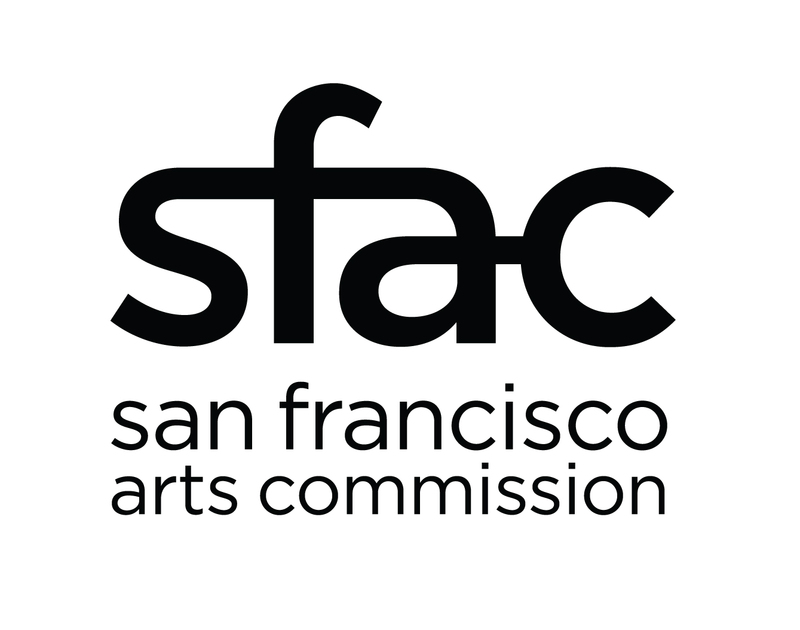 The goal is for participants to connect present-day Chinatown to the past. The tour will feature up to 12 historic sites including the Chinese Consolidated Benevolent Association, YMCA, Grant Avenue, and Waverly Place. Issues addressed will include immigration history, community violence and violence prevention strategies, spaces for healthy habits, community rebuilding and housing displacement. The tour lasts 90 minutes to 2 hours. Walking tours are available for groups 10 or more. Individual tours are capped at 30 people. Bigger groups will be divided. This process ensures a safe and engaging tour for everyone. Once confirmed, we will send an invoice. We ask that you pay before arrival. We accept credit card and check payments. We can also make arrangements for you to pay upon arrival but it will be processed as one payment so you will need to collect the money from your group members before arriving to the museum. Credit Card Payment: Credit card payments can be online or you can email groups@chsa.org the following information—Invoice Number, Name on Credit Card (as it appears on the card), Credit Card Number, Expiration Date, CSV Code, Billing Address, and Phone Number. Check Payment: The check must arrive before or on the day of the your scheduled visit date. Please write the invoice number in the memo section of your check. Payment at the Door: If you cannot pay before your scheduled visit, we can process cash, check or credit card payments at our admission desk. We ask that you bring a copy of your invoice with you. Without an invoice number, we will be unable to offer you the group reservation price. We also ask that you collect the money from your group members before arriving to the museum. We understand that there are times when you have to cancel or forgo your original plans. We do our best to accommodate group schedules but cancellations or no shows group visits incur significant staffing costs to the museum. Therefore if your group does not notify us ahead of time, you are responsible for the full amount of the reservation. Cancellation can be made over the phone or sent by email to groups@chsa.org. Once you receive an acknowledgement via email response, your cancellation will be considered final. Rescheduling requests can also be done over the phone or sent by email to groups@chsa.org. We will make every effort to accommodate your new proposed date, but cannot guarantee a spot. Please send at least two new dates as part of your request so that we can make the best effort to meet your needs. All refunds have a processing fee. Below is our refund policy depending on when your group cancels their visit.